I have been feeling less than optimal during the past week because of all the changes at work (new outsourcing deal to be executed) and the lack of good sleep due to the local high temperatures (Even at night). Today I decided to keep the doors to the outside world shut (a new week with predicted temperatures upward from 30 degrees centigrade has started) and work a bit on package maintenance. After uploading some bugfixes in my KDE 4.11 RC1 package set, I noticed that there was a new security release of the FlashPlayer plugin. I have updated my Flash Player packages to version 11.2.202.297 right away! Posted: 21 July, 2013 in Slackware, Software. Ricardo, I should not do such a thing at all. I have this package in my repository since 2008, I have no urge to change the name all of a sudden. Let SBo change its name then! Adobe itself uses the program name “flashplayer”, not “flash-player” in every URL which mentions it, like http://get.adobe.com/flashplayer/ – so my package name follows upstream more closely. ok, I just thought about that because rworkman is the maintainer of this package on SBo and I thought you guys talk each other a lot. My point is just that with same name things should be easy when upgrading from your repo or SBo, but I agree with you that your package name follows upstream more closely and it is the right to go. BTW I will try to talk with him about this too. 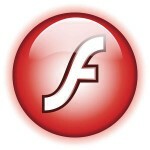 Eric, Since the chrome has the updated flash plugin, isn’t there a way to get flash’s chrome plugin to work on Firefox?